Galway East Tourism - Portumna Castle in East Galway, West of Ireland.Galway East Tourism - Portumna Castle in East Galway, West of Ireland. A semi-fortified house (1618) built by the 4th Earl of Clanricarde, Richard de Burgo. Exhibitions open on the ground floor of the castle and in the Gate House. Other attractions include the recently restored 17th Century walled kitched garden. Portumna Castle was the main seat of the de Burgo family for over 200 years, until it was gutted by fire in 1826. Portumna Castle now includes the recently restored 17th century walled kitchen garden. Following its original plan the garden has been organically planted with fruit trees, flowers, herbs and vegetables, all combining to make it a treat to the senses. 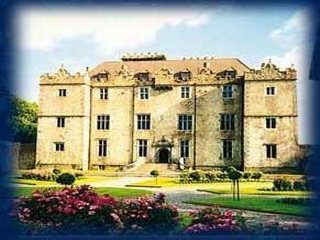 Portumna Castle is surrounded by the towns' local attractions - Lough Derg and the Forest Park. Limited access for visitors with disabilities to gardens and Gate House. 25th March - Mid April Open Daily 10 a.m. to 5 p.m. Mid April to October Open Daily 10 a.m. to 6 p.m.